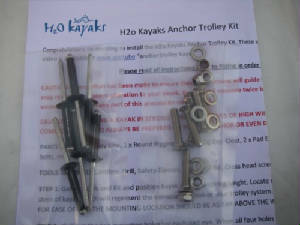 This is my review of the new H20 anchor trolley kit. 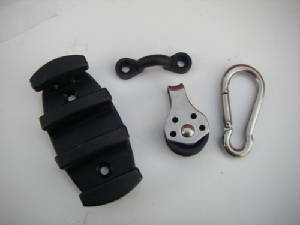 The bag comes sealed with all of fixings needed to fit the anchor trolley. 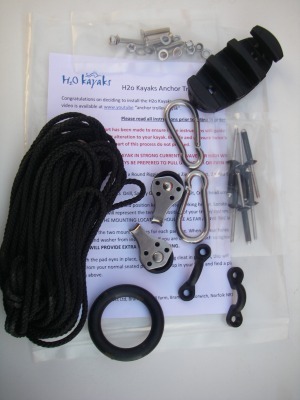 This is a great kit and is a very versatile kit there are many ways to set up your anchor trolley but this kit covers all the bases all the components are top quality. 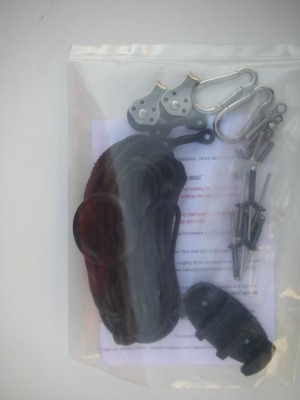 Every thing needed is in 1 bag so no messing around searching for odd components. And its retail is only £19.99 which makes it I think the most affordable kit on the market.